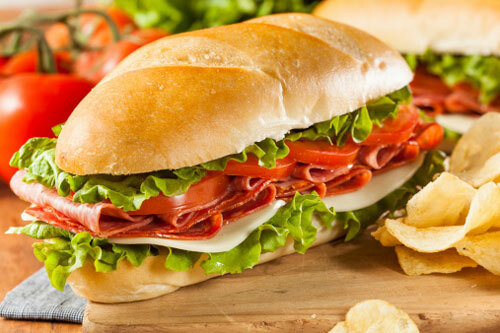 Subway Restaurants is considered the most popular submarine sandwich restaurant chain in the U.S. and around the world, with 44,280 locations in 110 countries. The fast food chain is famous for using the advertising slogan “Eat Fresh,” since they take pride in using fresh ingredients. On the other hand, like many fast food restaurants, Subway uses meat raised with antibiotics—but that’s about to change. Subway has just announced that it will transition to meat from animals raised free of antibiotics over the next 10 years to its 27,000-plus U.S. locations. Advocacy groups had targeted the restaurant and planned to deliver a petition to Subway’s headquarters. In the summer, Subway had announced their plan to switch to chicken from animals never exposed to antibiotics that were not medically important. The new announcement means Subway will only serve chicken without antibiotics beginning in March 2016. Antibiotic-free turkey will also be introduced in 2016, and Subway expects to complete the turkey transition in all of its restaurants in the next two to three years. The transition to antibiotic-free beef and pork will be completed by 2025. Subway had also previously announced that it would remove preservatives, artificial flavors, and artificial colors from its cookies, soups, salads, and sandwiches by the end of 2017 in its North American locations. “We hope that this commitment will encourage other companies in our industry to follow our lead, and that together, this will drive suppliers to move faster to make these important changes for consumers,” Clabby adds. Several advocacy groups had campaigned to urge Subway to only buy meat without antibiotics with a timeline for a transition, including the Natural Resources Defense Council, the Center for Food Safety, U.S. Public Interest Research Group, health food blogger Vani Hari, and Friends of the Earth. “We thought Subway was the most important one to target publicly because they claim to be this healthy fast-food restaurant chain,” explained Kari Hamerschlag, a representative for Friends of the Earth. In a report titled “Chain Reaction: How top restaurants rate on reducing use of antibiotics in their meat supply,” which was published by Friends of the Earth in September, Subway was among the top 25 restaurant chains to receive an “F” grade for their antibiotics policies. In the report, Subway had stated that the company had been, “targeting to transition to chicken raised without antibiotics important to human medicine in 2016.” At the time Subway had been awarded partial credit for a good policy; however, the chain received less credit for its commitment, timetable, and lack of clarity regarding its antibiotics policies. Other restaurants in the U.S. that offer meat without hormones and antibiotics include Chipotle Mexican Grill Inc., which received a grade of an “A” in the Friends of the Earth report for strict antibiotic policies. McDonald’s Corporation is another restaurant that has decided to make the switch to some antibiotic-free meats. For instance, the popular hamburger place plans to shift to purchasing only antibiotic-free chicken within the next two years. The fast food restaurant chain is currently offering its first 100% organic beef hamburger in Germany for a limited time from October 1 to November 18. “Subway Restaurants Elevates Current Antibiotics-Free Policy U.S. Restaurants Will Only Serve Animal Proteins That Have Never Been Treated With Antibiotics,” Subway web site, October 20, 2015; http://www.subway.com/subwayroot/about_us/PR_Docs/AntibioticFreeRelease10.20.15.pdf. “Subway to eliminate antibiotics from all meat over next 10 years,” Fox News web site, October 21, 2015; http://www.foxnews.com/leisure/2015/10/21/subway-to-eliminate-antibiotics-from-all-meat-over-next-10-years/. “Subway promising meat raised without antibiotics,” The Hamilton Spectator web site, October 21, 2015; http://www.thespec.com/news-story/5969827-subway-promising-meat-raised-without-antibiotics/. “Chain Reaction: How top restaurants rate on reducing use of antibiotics in their meat supply,” Friends of the Earth web site, September 15, 2015; http://www.foe.org/projects/food-and-technology/good-food-healthy-planet/chain-reaction.